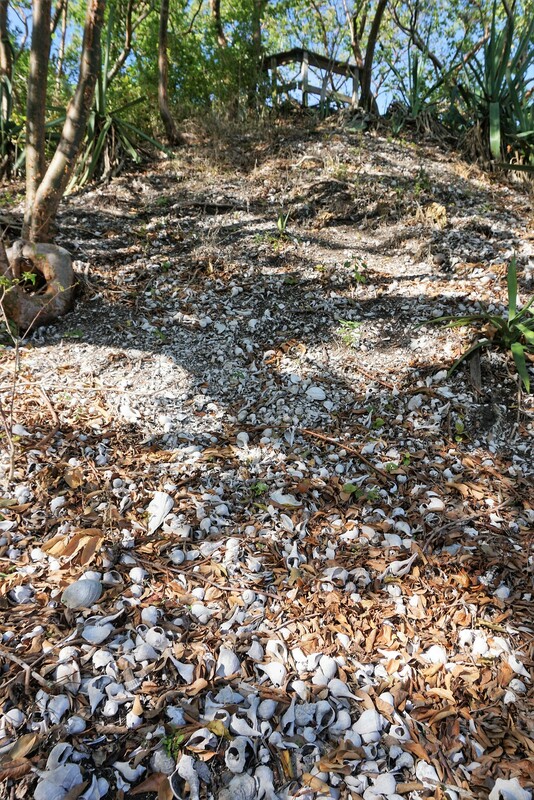 Shells Lay Atop a Shell Mound in the Calusa Heritage Trail at the Randell Research Center in Pineland, Fla., Dec. 29, 2018. Growing up and educated in the New York public school system, I learned about the Iroquois and Mohawk tribes. I later learned about the Cherokee, Navajo, and Lakota. When I moved to Florida in the late 1990s, I learned about Florida’s tribes, specifically the Seminole and Miccosukee. 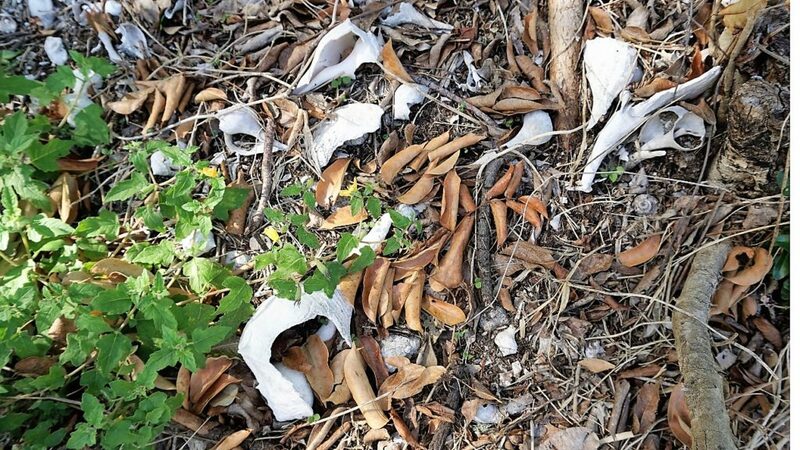 Moving to Southwest Florida, I learned the significance of the Calusa who were extinguished by the late 18th century. Arriving at the Randell Research Center to walk the Calusa Heritage Trail, a couple of volunteers welcomed me with information and a laminated map for my self-guided walk. While pointing on the map, volunteer Ruth Marcus encouraged me to look at a specific gumbo limbo tree along the Calusa Heritage Trail. Why? Because it is the largest one on the grounds. “Keep to the right,” volunteer Alan Marcus, Ruth’s husband, advised as I stepped onto the trail. Although not complicated to navigate, his words of wisdom helped make the most of my visit, especially when I came to forks in the trail. 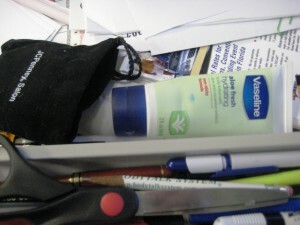 Armed with sunscreen, insect repellent, a hat, water, comfortable walking shoes and the map, I set out on the .9-mile trail. It had been years since I last visited and this was the first time visiting the site alone. 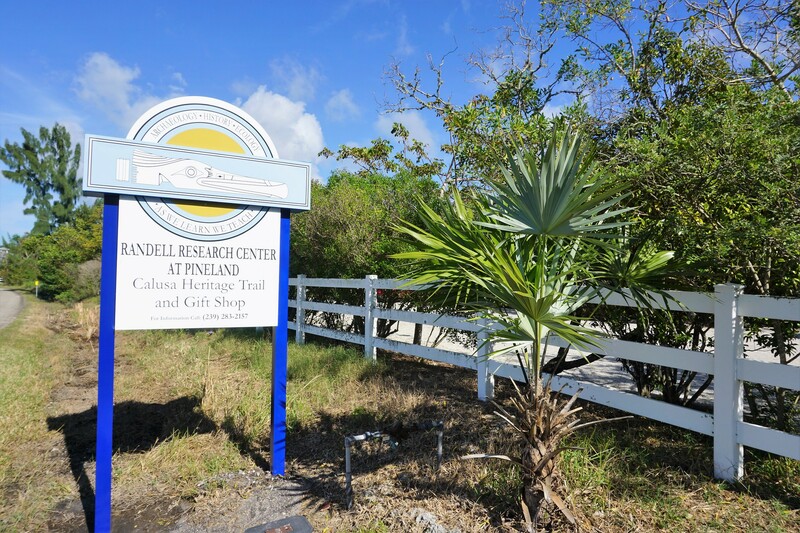 The Randell Research Center is a treasure and is 67 acres of a Calusa Indian archaeological site that was occupied for about 1,500 years. In summary, the Calusa were once the most powerful people of Southwest Florida and research indicates their population reached about 50,000. Shells were vital to the Calusa and they used them as tools, utensils, and jewelry. They built elaborate canal systems and with discard seashells, they built shell mounds. 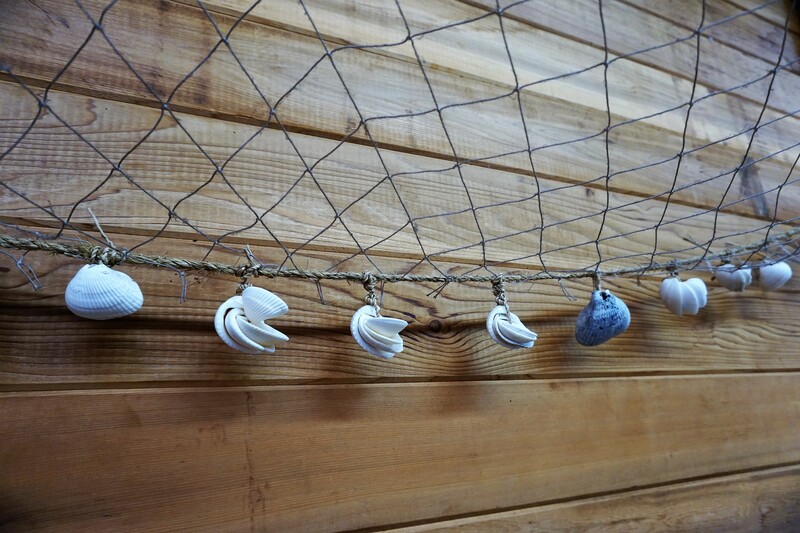 Men and boys fished for their food using nets made from palm fiber and used seashells as anchors. They caught fish as mullet, pigfish, and catfish. They used spears to harvest turtles and eels. 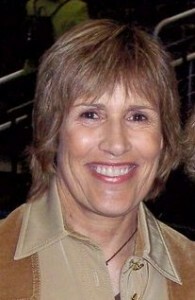 Women harvested shellfish such as crabs and clams. 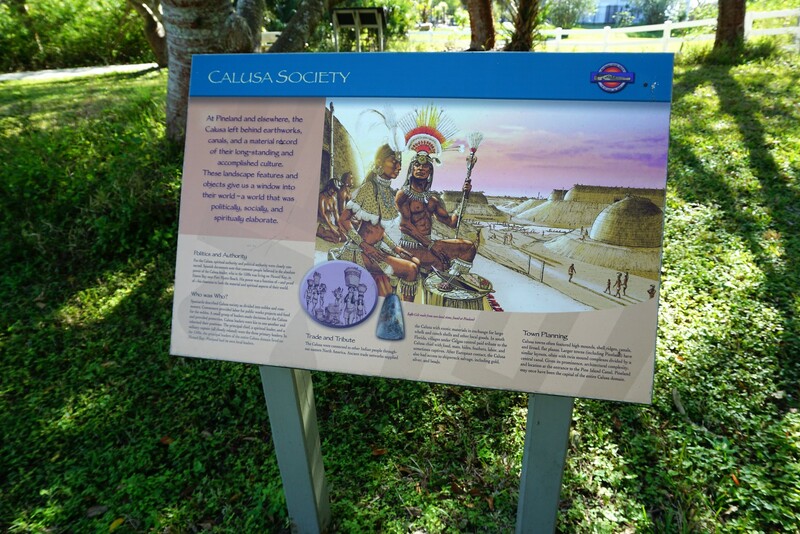 Along the Calusa Heritage Trail, signage tells the story of those who lived there. 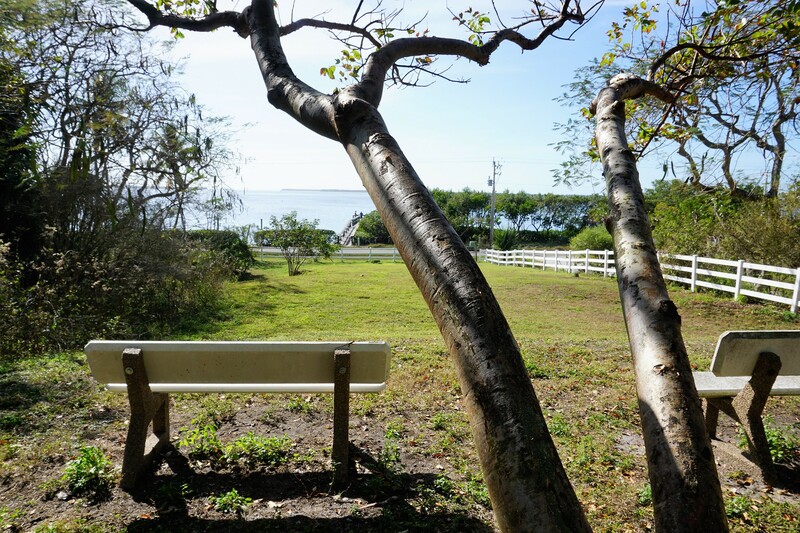 I walked to the top of a shell mound, sat at one of two benches under a pair of gumbo limbo trees, and looked over the serenity of Pine Island Sound. I felt as though I was on top of the world, or at least, on top of Pine Island. I continued on the trail toward Smith Mound and along the way, several osprey screeched and flew overhead. Some grasped fish in their talons while others consumed their lunch while perched on tree tops. Smith Mound is unlike the other mounds along the trail, at 25 feet tall and 230 feet long, it is a burial area. Most RRC mounds are made with discarded shells, bones, and charred wood. This mound is made of sand. All of RRC commands respect but especially in this sacred area. I quietly and carefully walked along a canal which hugged the mound. Oak, palm and other trees provided some shade. The Calusa used the canal system around and leading to the mound to transport bodies for burials. Taking in my surroundings and listening to the calls of birds and wind rustling through the trees, I felt a peacefulness. The moment seemed appropriate for saying a prayer for the souls buried in that area so that is what I did. 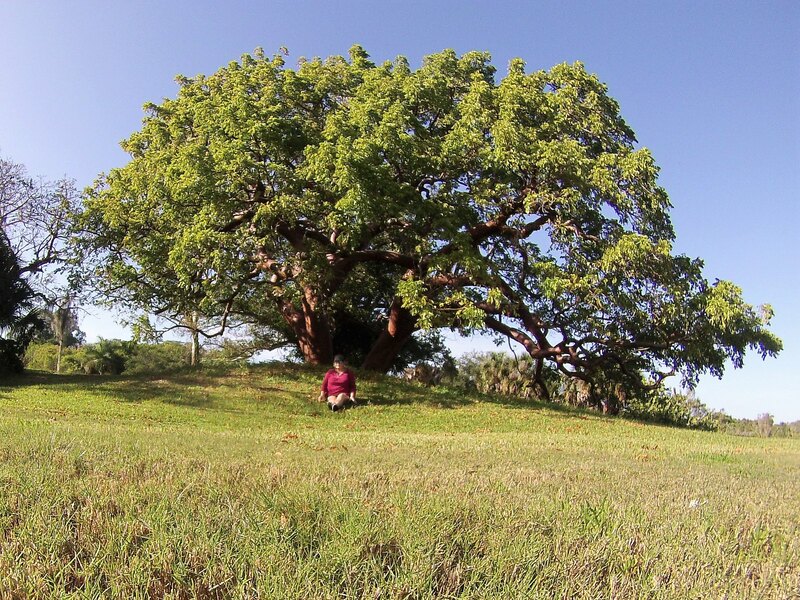 As I wrapped up my visit on the Calusa Heritage Trail, I stopped at the gumbo limbo tree Ruth, one of the volunteers, suggested. 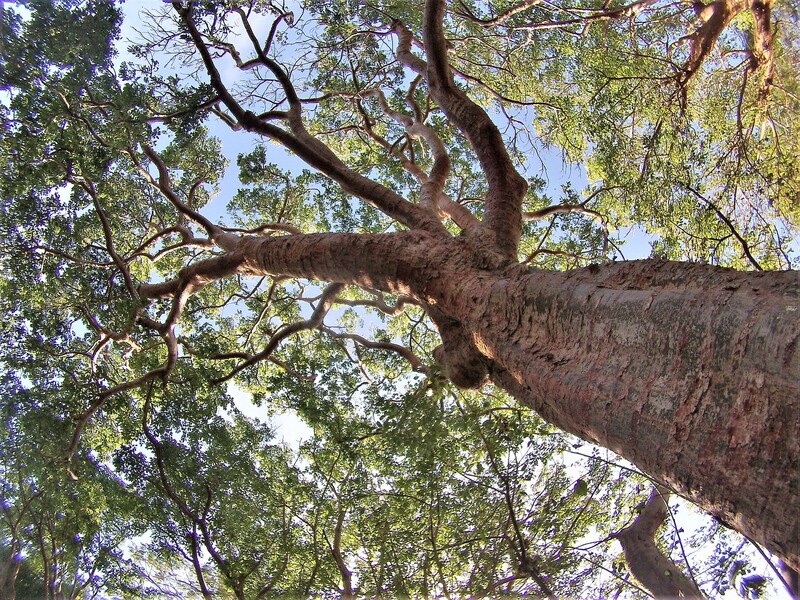 It is a grand tree worthy of appreciation, a few selfies, and a hug. When I left the trail, I felt the burden and stress from the holidays and day-to-day life lifted. I lost track of time and spent nearly two hours exploring the grounds, appreciating the lives of the Calusa, and pondering decisions I need to make in my life. The Randell Research Center is a special place for its history, nature, and some may argue, its spirituality. 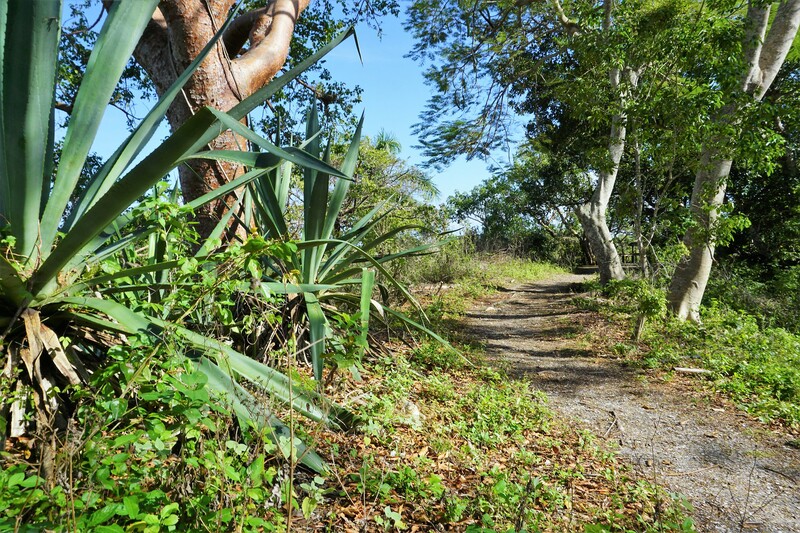 When walking the Calusa Heritage Trail, listen closely. The wind rustling through the trees just may be whispers from the mounds and may hold the answers you are looking for. Under the gumbo limbo tree, I encountered a resident black racer snake. 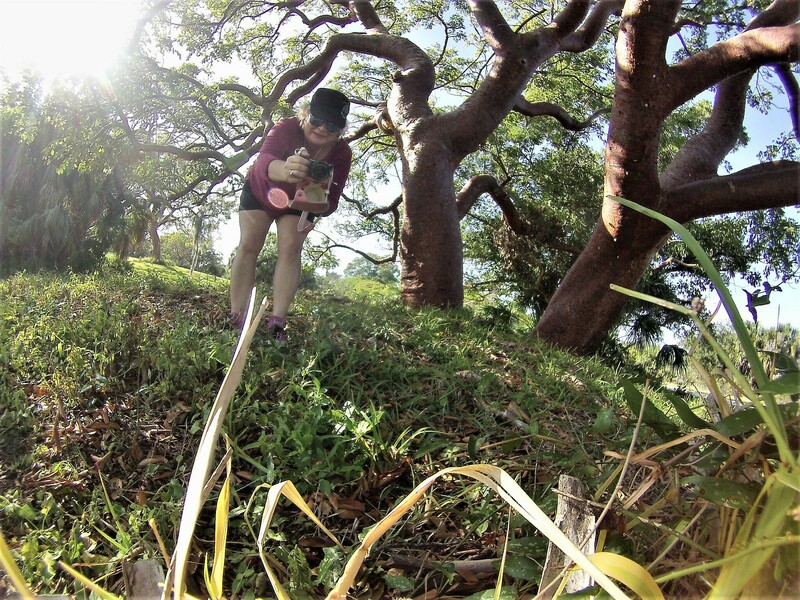 I set my GoPro camera down on a tree stump to pose for a few selfies. The snake slithered around and up the stump and on and around my camera mount. I knew he didn’t mean any harm but knew those snakes have a nasty temper. 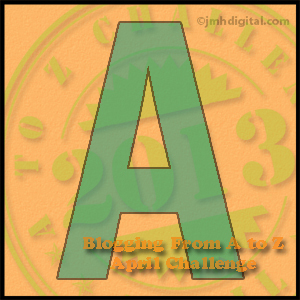 After snapping my selfies (although I didn’t get a “snelfie”) my challenge was how to safely get my camera. The solution? Taking a large stick and whacking my camera off the stump for a homerun. 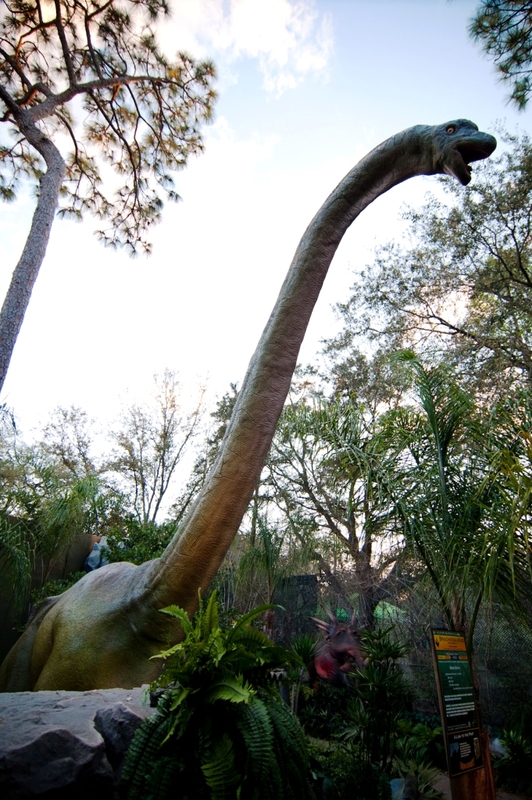 The Randell Research Center is a program of the state’s official natural history museum, the Florida Museum of Natural History located in Gainesville on the campus of the University of Florida. 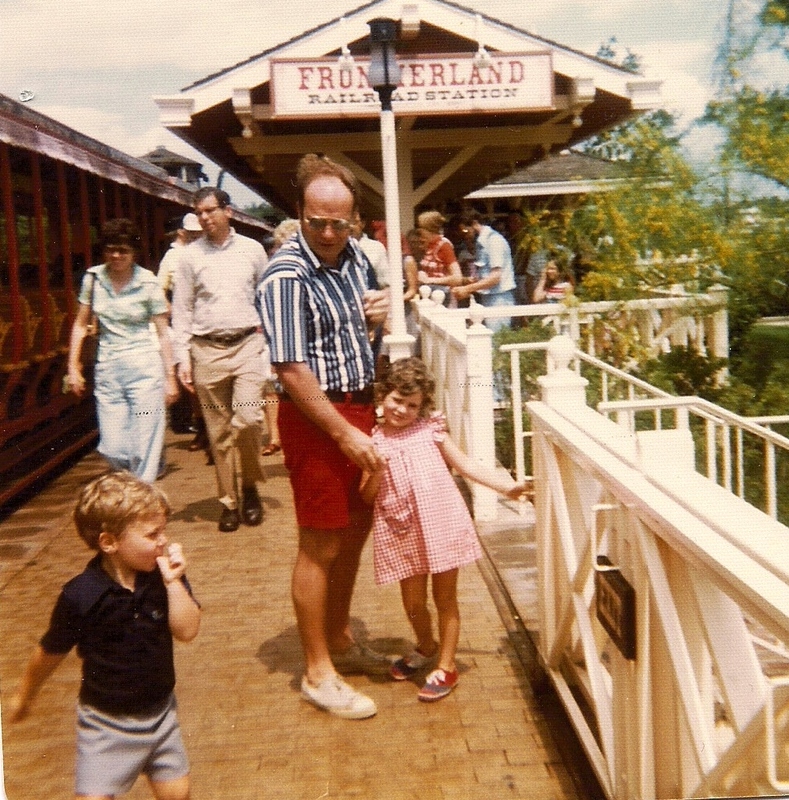 In 1996, Donald and Patricia Randell gifted 53 acres of land to the University of Florida Foundation. Admission: A donation of $7 for adults, $5 for seniors, and $4 for children is requested. 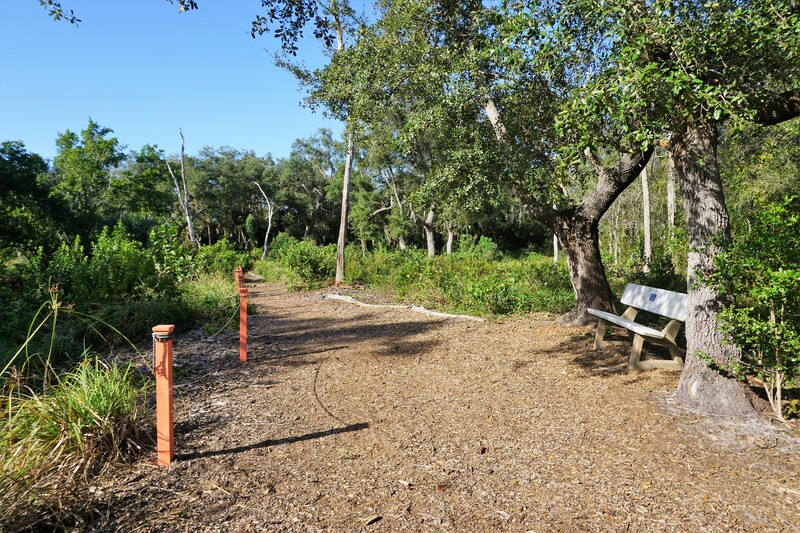 The Calusa Heritage Trail is open daily sunup to sundown for self-guided visits. Restrooms, book and gift shop, and classroom are open Monday-Saturday from 10 a.m. to 4 p.m. Guided tours are offered to the public Wednesdays, Fridays, and Saturdays, January 2 – April 27, 2019, at 10 a.m. and 1 p.m. The Tarpon Lodge is located across the road from the Randell Research Center. 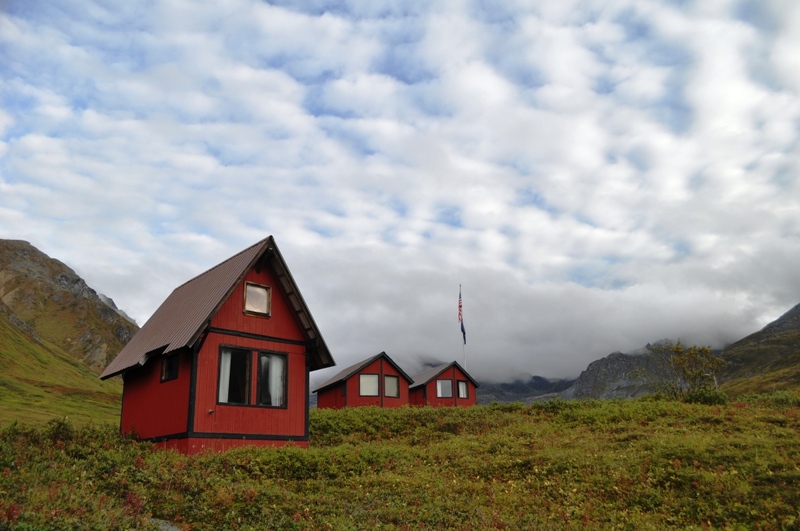 Lunch is served daily, 11:30 a.m. – 4 p.m. and dinner is served daily: 5 – 9 p.m. Hours may vary on holidays and special events.